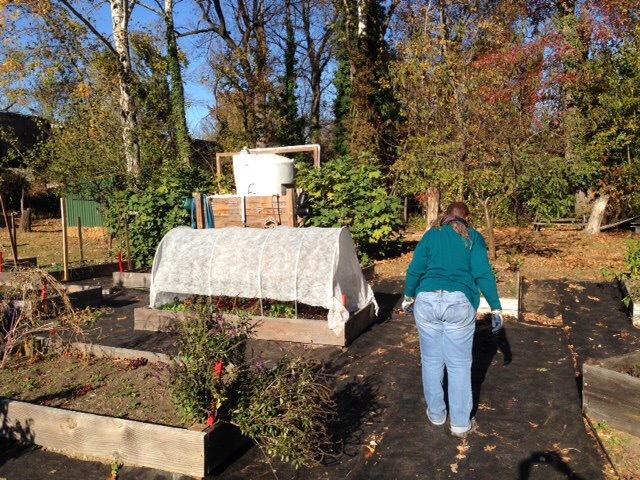 Floating Row Cover is awesome to help your veggies grow well into winter. 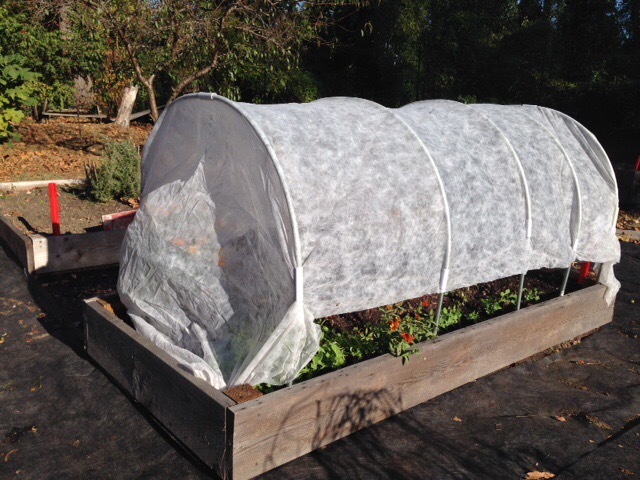 We use hoop houses for our winterizing our beds. 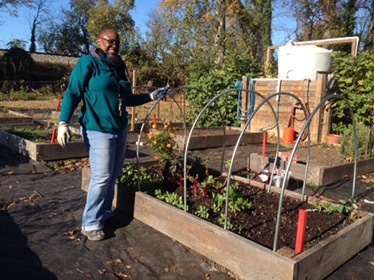 we’re growing leeks, chard, collard greens, spinach, kale, shallots, onions, potatoes, beets, lettuce, radishes and more!